Albert was the son of Robert Young Smith and Mary Ann Smith of 180 High Street, Waimate. Albert was the eldest of nine children. Before enlisting Albert was in a chemist apprenticeship at the pharmacy of Mr F. Akhurst. He was a very talented young man who was a keen member of the Cadets while at school. This led him, at a young age, to become an officer in the Territorials. Albert also enjoyed music, being a member of both the Methodist Choir and the Waimate Orpheus Society. Albert joined the New Zealand Rifle Brigade and left from Wellington, bound for England, on 26th June 1916. A little over a year later he was killed in action on 12th October 1917, at the age of 23 years, while serving with the New Zealand Rifle Brigade, 1st Battalion, 3rd Division, in Ypres, Belgium. Albert is remembered on the Tyne Cot Memorial, Tyne Cot Cemetery, Zonnebeke, West-Viaandern, Belgium. 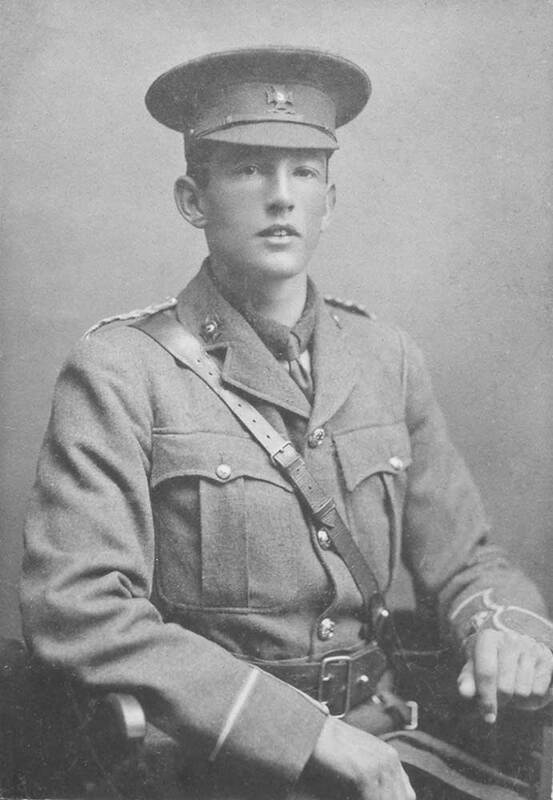 The Waimate Museum and Archives hold photographs of Albert Smith and his family, artwork by Albert, his sword and scabbard, a Memorial Plaque, a NZEF Certificate of Service, and his British War Medal.